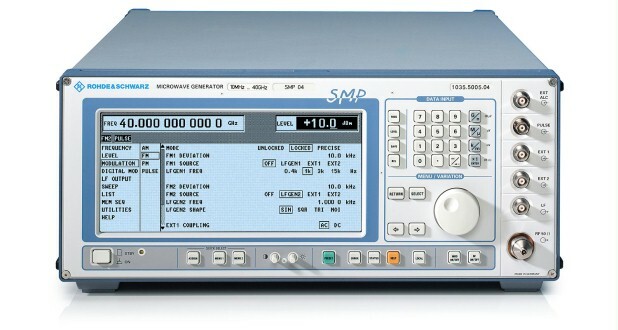 The R&S®SMP Microwave Signal Generator is a reliable, high-precision signal source featuring high output power, high spectral purity and excellent pulse modulation. It is able to supply different modulations for any measurement on radar and communication equipment. The R&S®SMP Microwave Signal Generator is a reliable, high-precision signal source featuring high output power, high spectral purity and excellent pulse modulation. It is able to supply different modulations for any measurement on radar and communication equipment. A wide range of options ensures universal use in R&D, production, EMC and environmental measurements as well as in material testing. Spectral purity is one of the most important parameters for many applications. 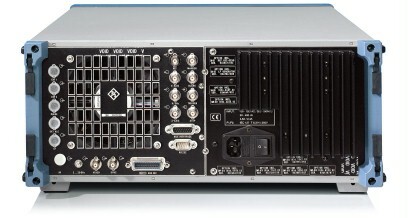 The R&S SMP family has an SSB phase noise of typical -109 dBc (1 Hz) at f = 10 GHz and 10 kHz offset. A classical field of application for microwave generators is the testing of radar receivers. Each R&S SMP has a precise pulse modulator built in by default. Optionally, leveled pulses down to a pulse width of 20 ns are possible. In addition to conventional CW capabilities, the R&S SMP family also supports classical analog modulation without any restrictions. The basic unit includes not only AM, FM and SCAN, but the digital modulation types ASK and FSK as well. The different modulations can also be combined to create more realistic signals. The three-year calibration interval reduces costs and increases availability.